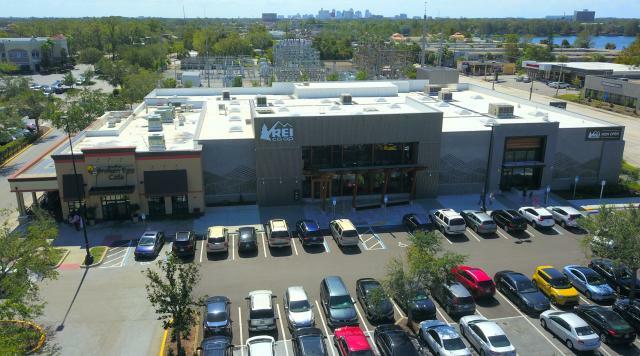 Tampa Insulated Panel Services | PCI: Performance Contracting Inc. Your Nationwide Source for Low Temperature Construction and Roofing. 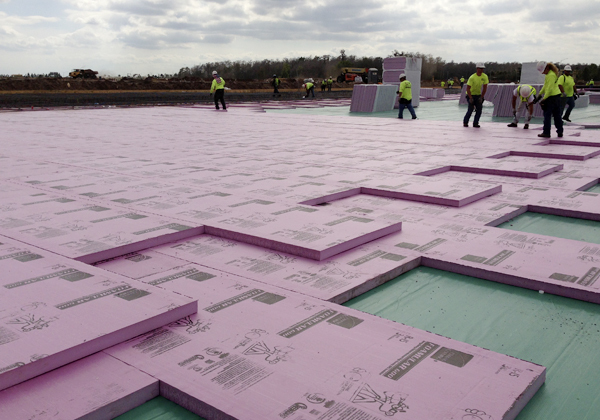 PCI’s Insulated Panel Services has two main product lines: Low Temperature Construction and Roofing. We have the technical know-how and experience to provide insulated panels for low-temperature, clean room, commercial and industrial facilities. We have also helped in the development of insulating block kilns to improve kiln performance and maintain product integrity. In Mid-August of 2004, Hurricane Charley, a category 4 hurricane, severely damaged all five of the Peace River Citrus tank farms. All of the insulated panels and supporting structural steel supports around the citrus storage tanks were torn, twisted, punctured, stripped or gnarled. Although damaged, the tank farms were left standing. 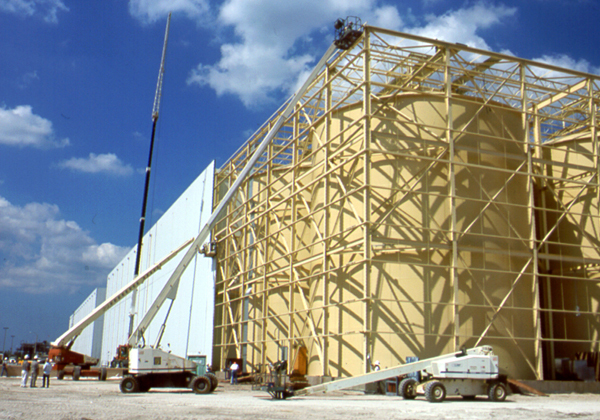 At that time, the plant had five tank farms built with insulated metal panels and single-ply roof systems. The five farms together included 58 storage tanks, each storing approximately 250,000 gallons of concentrate orange juice, or 116 million gallons. On September 5, 2004, just as many of PCI’s temporary repairs had been set in place, Hurricane Frances swept in and battered Florida for almost 30 hours. Frances, like its predecessor Charley, once again damaged Peace River Citrus. Fortunately, this time the damage was not as great. PCI was called in to provide repairs. 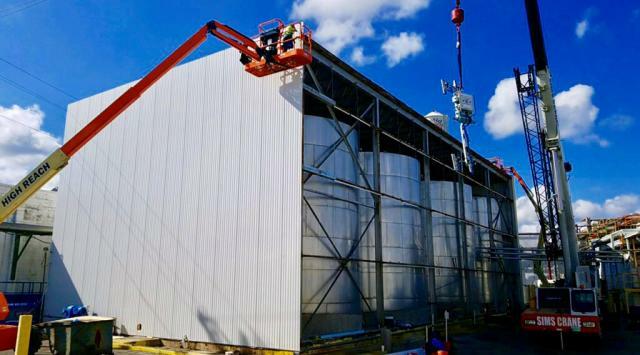 PCI crews covered the tanks with industrial tarps to cover gaping holes and applied spray urethane on the tarps to maintain the tank rooms at the required 15 degrees Fahrenheit operating temperature. This action saved thousands of gallons of concentrate orange juice from spoilage. At the end of the hurricane season, PCI got back to the task of removing the damaged roofs and insulated panel sections. These were completely retrofitted with new roofing, insulated panels, vapor barriers, refrigerated doors and metal trim. 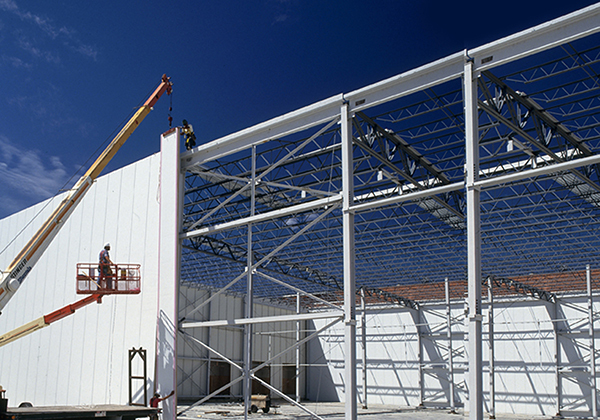 The structural steel was reinforced before the insulated panels were reinstalled to allow for greater wind resistance. PCI supplied and installed roofing and insulated panels to five refrigerated tank farms, replaced the ceiling panels in the Juice Extractor Room, replaced sections of flooring and the roof on the drum storage freezer, rebuilt the 40 degree cold citrus oil storage room, and refurbished the quality control, laboratory, shipping and receiving offices as well as break rooms and restrooms. We met all schedules and expectations and, as a result, Peace River was fully operational in time for the winter juice season. 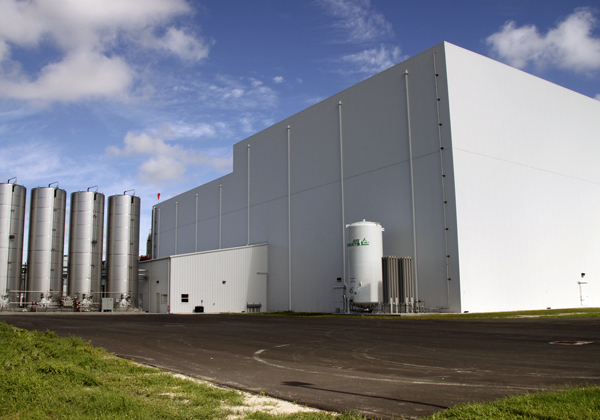 A plant expansion was proposed in two phases, east and west. The initial phase would be constructed with a temporary exterior wall on the initial phase. Product would occupy the first phase. Once completed, construction of the second phase would then be completed. Finally, the temporary wall would need to be removed and the roofing would need to be made into “one” roof. 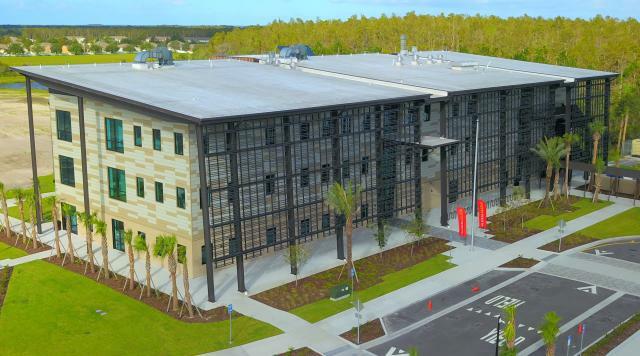 The owner and general contractor wanted a single-source, detail-oriented contractor to furnish the building envelope, roofing and low temperature scopes for this critical expansion. PCI coordinated the construction with the general contractor, ensuring the temporary wall and roof termination of the first phase went smoothly. Robust, internal PCI communication in the field was critical to coordination and construction of the phased building. Terminations, roof to wall details, and phased removal of the temporary wall was seamlessly performed by both PCI low temperature and roofing crews working in harmony. PCI was on-site performing other projects and discussing the business with ownership. The owner commented about the amount they were spending on power usage and it sounded exorbitant. PCI then performed an audit of the facility and determined the roofing was saturated and needing to be replaced. As we commenced re-roofing the building, PCI observed the decking and support steel needed to be addressed also. 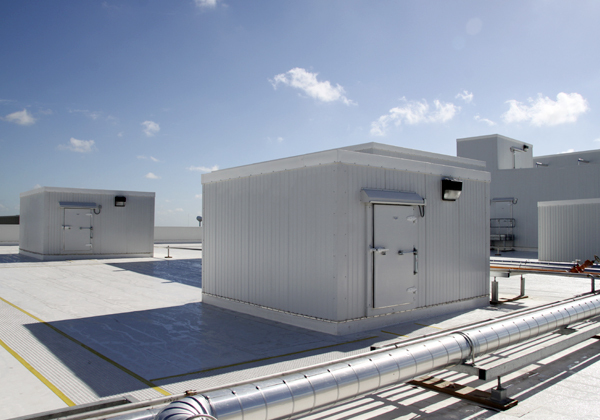 Replacing the roof deck meant processing areas would be exposed to the outside and this was not feasible to an operating plant. 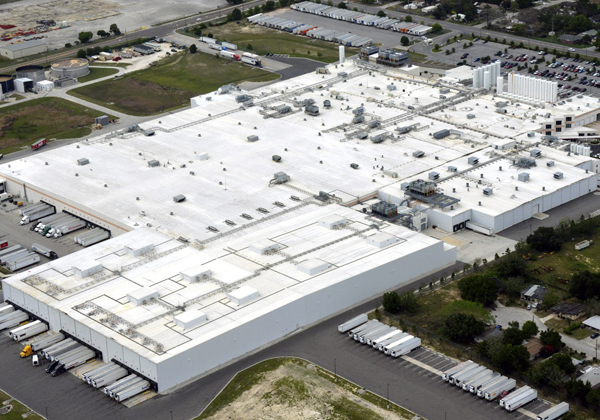 We looked at the operation and offered to build insulated metal panel ceilings to protect production and processing areas so that the decking and steel supports could be repaired above. This allowed the plant to continue operations. 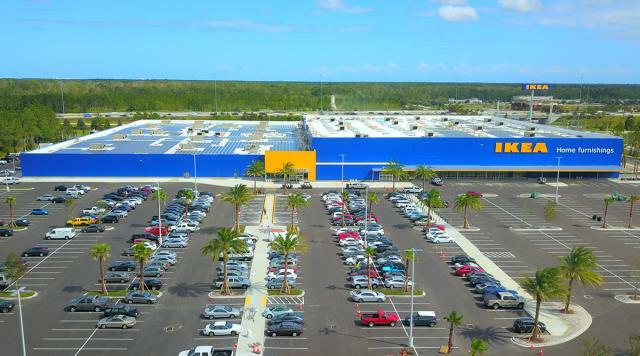 PCI’s proactive, energy-saving solutions resulted in the plant noticing instant savings in energy usage, dropping consumption by a whopping 70% monthly. The design of this kiln was produced by a foreign design firm where the curing racks for pallets of blocks were not placed traditionally, but were elevated on pillars two feet in height. These pillars impacted the equipment to install the insulated metal panels and the metal trim details due to access challenges. PCI built several temporary bridges to span the pillars, allowing access for installation equipment. PCI was then able to access challenging areas to complete the work on time and within budget. PCI was able to see a solution to an installation hurdle and make appropriate changes to ensure the work was completed safely. The project was already designed and on a fast-track schedule, with another material supplier and panel installation contractor chosen, when it was discovered the material and design were not the best solution. PCI was contacted because the panel spans were not achievable as originally designed with the chosen panel materials. We were retained as an insulated metal panel expert to help correct the material supply issue and to help complete the design details. PCI contacted its vendor network, cleanroom design specialists, and coordinated its labor force to quickly respond and get the project back on schedule. We constructed a mockup, helped with product selection and capabilities for design, and executed the fast track schedule successfully. 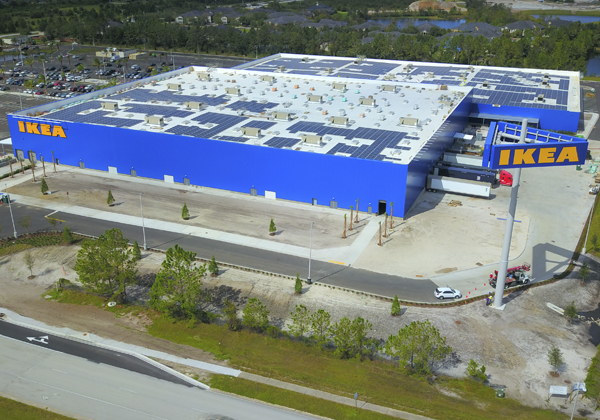 PCI was able to respond through our technical knowledge, vendor partners, and installation and management capabilities to ensure the project maintained its tight schedule.